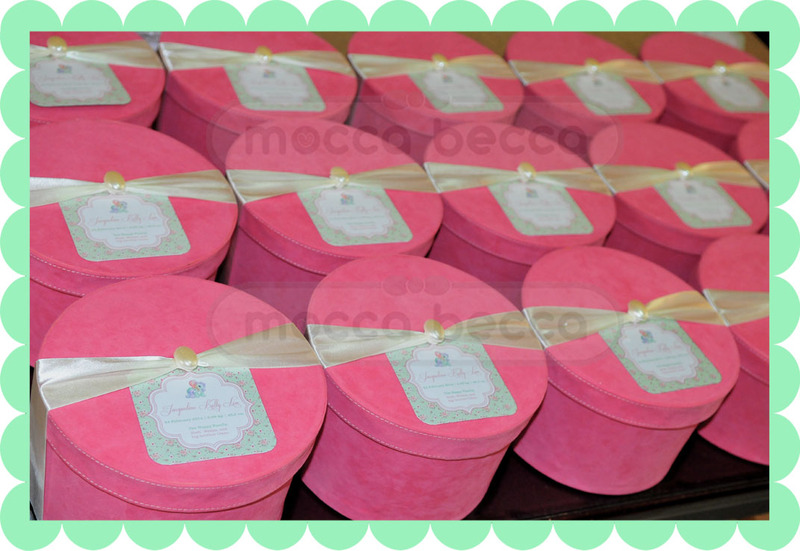 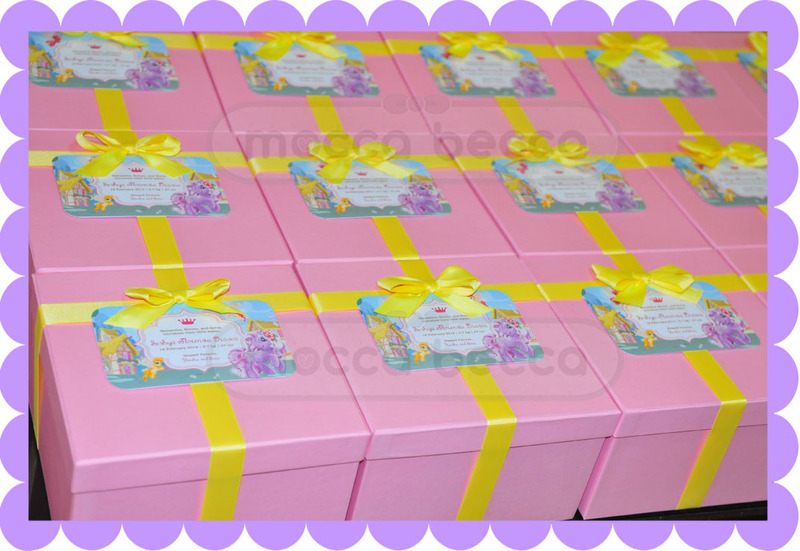 Jacqueline KELLY Lim’s one month hampers. 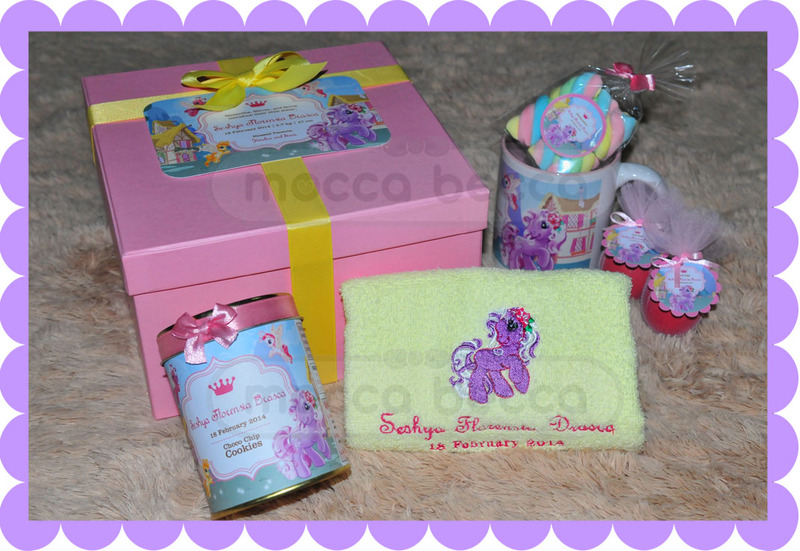 Ordered by mommy Wedya, with request in little pony (horse) theme and shabby chic theme. 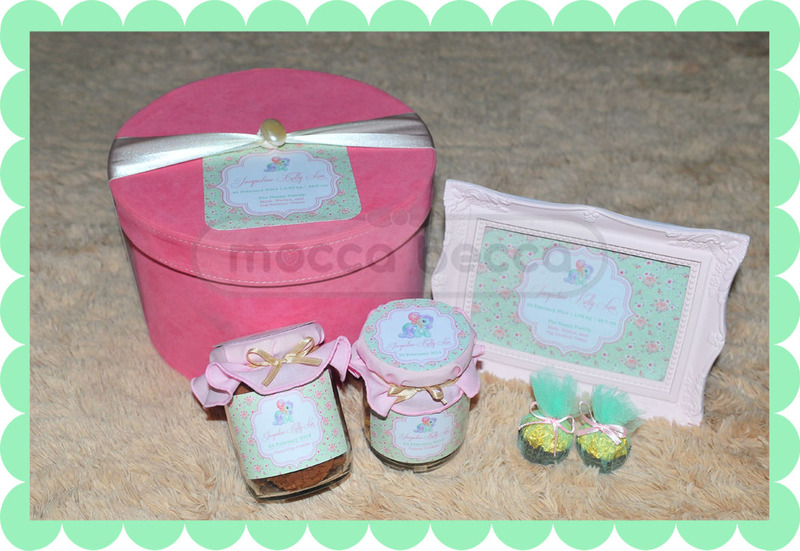 1 glass jar peanut cookies + 1 glass jar choco chip cookies + 2 ferrero rocher.